Do you have an interest in magick, but can't find any free spells to try? 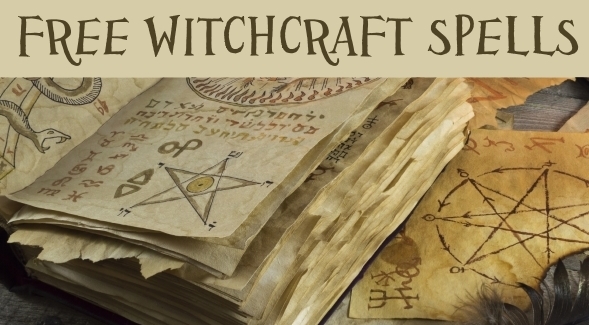 You'll find a complete collection of witchcraft spells here that will apply to any situation in your life that could use a little magickal help. 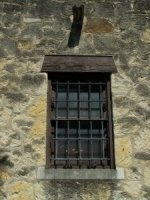 All of the free spells on this site are real, and can be tried by anyone who is interested in becoming a witch. You don't need to have your spells handed down through your family in order to start doing witchcraft. It certainly doesn't hurt to have witches in your family, but you can learn to cast magic spells all on your own. Remember that magick is not a game, and just because you have spells at your fingertips doesn't mean you are going to be able to change the world in an instant. It can take time, practice and patience to really master the witchcraft arts. Take care to read up on the proper way to cast a spell before you start. I've been a practicing witch for around 20 years now, and can assure you that these are all legitimate spells for performing real witchcraft. Whatever your witchcraft needs are, there is likely a spell here that will suit you. Browse around and find a little magick. The search page can help you find what you're looking for. Everyone's favorite topic when it comes to witchcraft spells. Let's face it, people turn to magic when they need help with love more than any other reason. A spell or two can help you find new love or even reunite old lovers again. Remember that true love can never be forced but there is no harm trying a love spell when the time is right. Pretty much everyone comes to a time when they can use some financial help. Magick can help as long as you don't get greedy. Money spells can help in unexpected ways. simple spells or money talismans can help bring in some extra wealth. A little magick can go a long way when you want to protect yourself, break a spell or banish any negative influences. You do need to be reasonable with any use of protection magick though. Never rely on magick alone when you are in any physical danger. But to help add an extra safety layer, a good spell isn't a bad idea. The religion of Wicca is highly connected with the practice of witchcraft, though they are not the same thing. Spells for Wiccans are much like any other spells. Well, I suppose all spells are basically witchcraft spells, so this section has a whole mix of topics and situations that you might need some magic for. Perfect spells for any beginner, or even a more advanced witch who just needs a simple little ritual without a lot of time to spare. Easy spells can work just as well as the complex ones. A specific collection of spells that use candles and their wonderful energy to a mix of different purposes. If your idea of a good spell involves flickering candle light, then these are the spells for you. Though the term "white magic" is a little misunderstood, I have a section for white spells and some more information on the differences between white and black magic spells. Using the 4 elements of nature is the most fundamental kind of magick there is. Add some earth, air, fire and water to your spells for some awesome results. Elemental spells are usually pretty straight-forward and require just a few supplies. Even non-witches have heard of a Book of Shadows, but do you know what it is and why you keep one? If you are looking for an authentic one like you've seen on TV, you might be a bit surprised when you find out more about them. A mixed-bag section of spells for your emotional and physical improvement. Yes, the ever-popular weight loss spells are in this section, along with more magick to lift your mood or improve your appearance. More coming soon. And speaking of books, there is a bookstore section where you can find some of the best witchcraft spell books on the market. I've personally hand-picked these books for their great spells, and I've also included the best books to learn about witchcraft and Wicca. I post on Twitter about new spells and share free spells you might have forgotten about. Helpful witchcraft information too. If you use Twitter, follow us and keep in touch. And you can see what's new on the site by reading the blog page. You shouldn't miss a thing.